Sally Sheard is Professor of the History of Medicine at the University of Liverpool. She is a health and social policy historian, with a special interest in the interface between expert advisers and policymakers in the UK and international organisations. Her PhD and early research focused on the political economy of nineteenth century British public health. She has worked with Professor Sir Liam Donaldson (CMO, Department of Health) on a study funded by the Nuffield Trust and published as The Nation’s Doctor: the role of the Chief Medical Officer 1855-1998 (Oxford, 2006). Her latest book is The Passionate Economist: how Brian Abel-Smith shaped global health and social welfare (Bristol, 2013). She has also written on the history of hospitals, the finance of British medicine, the development of the NHS and medical education. She is a Wellcome Trust Senior Investigator, leading a five year project: The Governance of Health: medical, economic and managerial expertise in Britain since 1948. 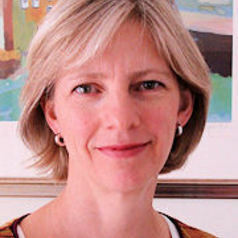 Sally Sheard has extensive experience of using history in public and policy engagement, and currently serves as a senior editor for History and Policy: www.historyandpolicy.org. She has worked with local health authorities and government organisations providing historical context for contemporary health policy issues. She also has written for and appeared in television and radio programmes, most recently the BBC 4 documentary Health Before the NHS in 2012.